With the season set to kick in the second half of November, Khel Now takes a look at the five most promising youngsters at East Bengal and Mohun Bagan's disposal in the I-league. Just few days after the closing down of the 2016-17 season and with East Bengal failing again to grab a single national level trophy, the officials were very quick to settle their squad for the new season. 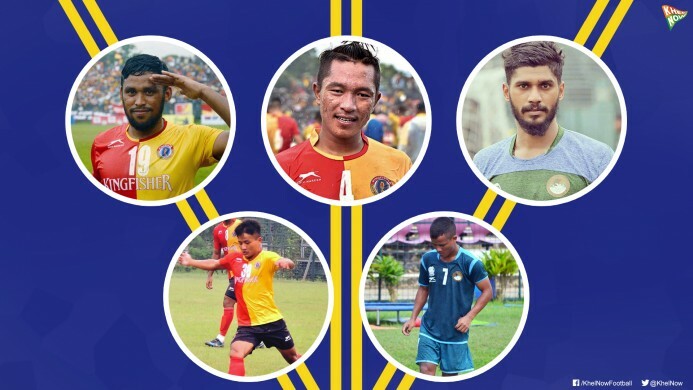 East Bengal roped in the services of four players from former I-League champions Aizawl FC in the likes of Mahmoud Al Amna, Lalramchullova, Brandon Vanlalremdika and Laldanmawia Ralte, who were instrumental throughout the successful journey of the North-eastern side. Brandon Vanlalremdika (Winger/ Forward): The 23-year old Mizo winger, hogged the limelight last season, impressing with his pace and trickery. With three goals in eleven starts, he bettered his numbers from the 2015-16 season, when he had made eight starts as the Reds relegated. Brandon had an explosive start in the Calcutta Football League and played a very important role on the flanks and was also the go-to-man for Khalid Jamil during set-pieces. He scored 3 goals in the CFL alongside four assists, helping East Bengal to grab the title for the record 8th consecutive time. Brandon would definitely be an important member for Khalid and co. in the I-league as his pace and dribbles can fox a lot of side-backs. Laldanmawia Ralte (Winger/ Forward): The 24-year old winger-forward hails from a small village known as Sialhawk, and that’s why he is popularly known as Sialhawk Express. Known for his pace, agility, an awareness of space and a good header, Danmawia's knack of scoring late goals is his USP. Two late winners in the I-League, without which Aizawl would have probably fallen short, shows the calmness the youngster possesses in difficult situations. Two wins in the Federation Cup - one from two goals down where he scored a second-half brace (81st-minute winner) and another, a late winner (90th minute) - took Aizawl to the semifinals (he was their top-scorer). In the recently-concluded CFL, Khalid used his winger on the right, taking him away from his favoured left-side and it took him a few matches to settle down. He scored three goals in total but the memorable one would be the equalizer in the Derby. Not only the goal, Ralte had a fantastic match throughout, earning him the man-of-the-match award. With Katsumi around in the I-League, it will be seen whether Danmawia gets to start regularly or not. Lalramchullova (Right/Left back): Chullova, a 21-year old defender, played regular first-team football for the Reds, making 30 appearances in the last two I-League outings. The diminutive Mizo professional is known for his positional sense and excellent disciplinary record. He can be an option for the Red-and-Golds in the U-22 quota. Chullova is very disciplined in his moves and passes, on display during the CFL. His positional sense is clearly visible as he times his overlapping runs perfectly and is always in a position to help his defensive partners. V.P Suhair (Striker): The Keralite from Calicut emerged into the Kolkata football scene from the United SC Youth Development Programme following some stupendous performances in Santosh Trophy 2015. Suhair was signed by East Bengal in 2016-17 I-after he scored a few in CFL 2016. After failing to nail down a place in the starting XI, the Keralite was released by the then-coach Trevor Morgan on loan to Gokulam FC to play the Kerala Premier league and get some game time. Khalid Jamil showed faith and trust and brought him back again this season and Suhair answered in style with a hattrick in the opening game against Rainbow AC in the CFL. Scoring a total of 5 goals and adding two assists to it shows his quality on the pitch. 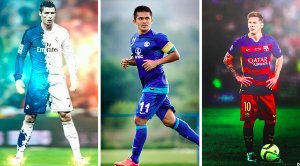 With Plaza and Charles upfront in the I-League, it will not be easy for him to get into the XI and it'll be interesting to see how Jamil uses him. Salam Ranjan Singh (Defender): With Arnab Mondal and Gurwinder Singh closing in towards the business end of their careers, 21-year old Manipuri lad Salam Ranjan Singh will be the go-to man for Khalid in the defence and his versatility is a boon. Ranjan has the ability to play both on the right and left as well as well in the centre. During his stint with Bengaluru FC last season, he was a regular for Albert Roca. Albert Roca’s 3-5-2 formation paved way for Ranjan to be an important member with John Johnson and Juanan. On a few occasions, Ranjan was also used as a wing-back and the youngster adjusted well. He is yet to make his debut for East Bengal and Khel Now understands that Salam can turn out to be a very important player at the back for Khalid Jamil. Chesterpaul Lyngdoh (Winger): The 19-year old winger from Shillong played a total of 1121 minutes for Churchill Brothers in the I-League and scored three goals. 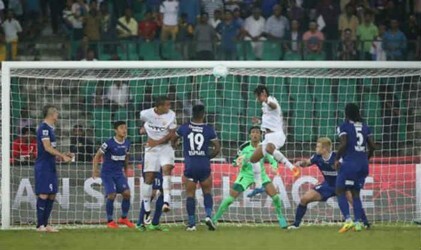 Interestingly, two of three goals were winners against Bengaluru FC and Mohun Bagan. Known for his pace down the flanks and neat skills, Lyngdoh started his career in Meghalaya and also participated in the Subroto Cup with O.M.Memorial School. Mohun Bagan signed him on loan from FC Pune City this season after a long tussle with local rivals East Bengal. He marked his arrival with a brilliant start in the opening game of the CFL with two assists. He was thoroughly consistent for Bagan and scored a brilliant goal against Railway FC from the flanks. With Katsumi changing sides, Sanjoy Sen is expected to bank on the speed of Chester on the right wing to supply ball to his forwards. Azharuddin Mullick (Winger/Forward): The 22-year old winger/ forward has been with Mohun Bagan throughout Sanjoy Sen’s reign as coach. He became an almost regular to the side after scoring a dazzling winner in the last I-League derby in Siliguri. This season, he has been a regular under assistant coach Shankarlal Chakraborty who was in charge of the CFL for Bagan and made his presence felt in every game he played with his goal-scoring abilities. Azhar netted twice against both East Bengal and Mohammedan in the recently concluded CFL. With Mohun Bagan not having quality U-22 players to start, Azhar will be the best option for Sanjoy Sen as he is well-tried and tested to this team and conditions. His speed on the wings and sudden runs into the opponent box will definitely be profitable for Mohun Bagan. Shilton D’Silva (Midfielder): The Indian Arrows product made a clinical entry to Indian football courtesy his heroics with the AIFF development team in 2011 and 2012. 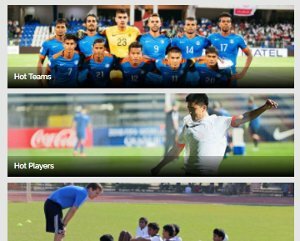 He impressed one and all with his footwork and earned his debut for India National Team at a tender age of 18. He played three matches in five days for the Blue Tigers in 2012 AFC Challenge Cup qualifiers, including a start against Turkmenistan. An unfortunate injury took him away from Indian football for four long years. After recovering, he came in to scene again in 2015 with Mumbai FC in the I-League. Mohun Bagan signed him this season and he became the midfield maestro for Bagan in the CFL with clinical performances. It is to be seen how this 25-year lad fits into the Bagan midfield which has Australian Diogo Ferreira and Japanese Yuta Kinowaki in their ranks. Faiaz (Winger): The 21-year old winger played an instrumental role in Bengal’s Santosh Trophy win this season and carried on with Mohammedan Sporting in the CFL where he scored 5 goals with four assists, which forced Mohun Bagan officials to sign him as a back-up for Chesterpaul and Sony Norde on the flanks. He is capable of showing his skills both on the right and left side and also possesses a mean shot from distance. Naro Hari Shrestha (Striker): Shrestha started his youth career playing for India U-18 Elite Academy. He then signed a two-year contract with Salgaocar in 2014, playing a crucial role in Salgaocar Junior teams winning various title victories and made it to the senior team the following year. After his stint with Salgaocar in the Goa Pro League 2016, he signed for DSK Shivajians for I-league 2016 but did not get the chances he deserved by coach Dave Rogers. Mohun Bagan did not waste any time to rope in the 21-year old striker and his 100% goal-scoring record till now proves their decision. With Dipanda Dicka upfront, Sanjoy Sen will rely a lot on this young talent to partner the former Lajong striker up front.